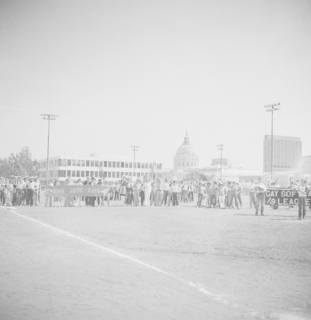 Spectators sitting in the bleachers during a softball game. 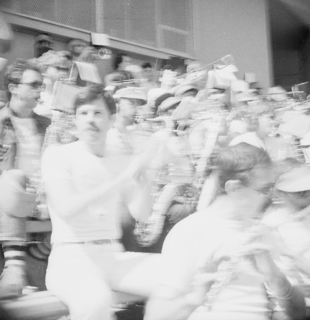 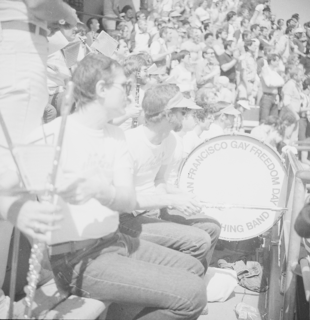 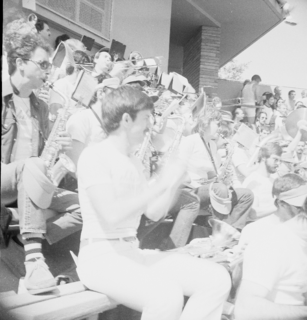 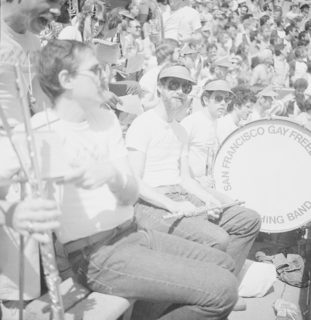 A marching band sitting in the bleachers at a softball game. 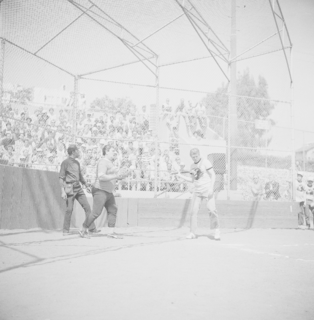 The catcher, umpire and batter at home plate during a softball game. 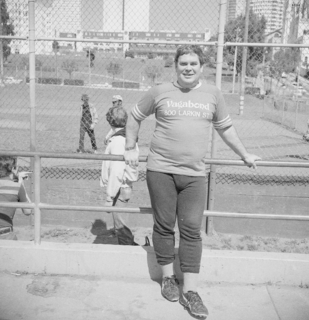 A player from the Vagabond softball team leaning against a fence. 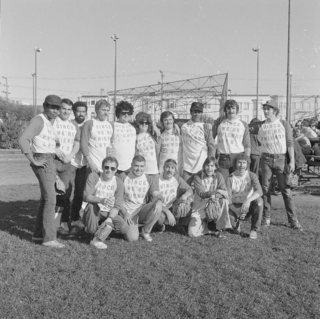 Gay Softball League players standing on the field holding league banners. 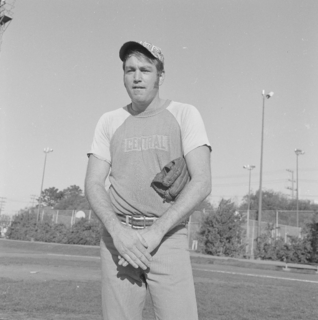 Close up image of a man standing on the field holding a softball. 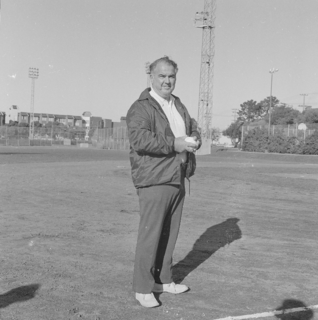 A man standing on the field holding a softball. 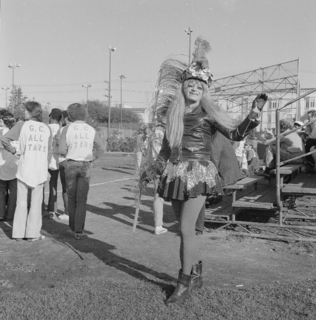 A man dressed in costume and headdress on the side of the field. 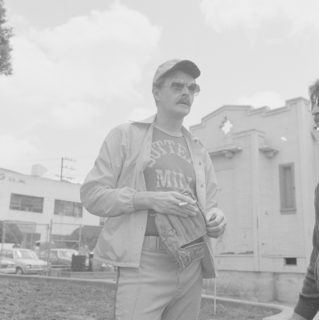 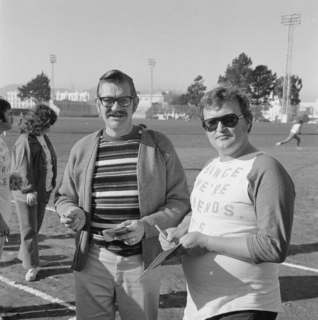 Two men in sunglasses standing on the softball field. 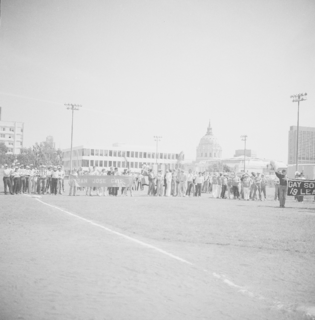 A softball player with a glove, wearing a jersey that reads, "Central." 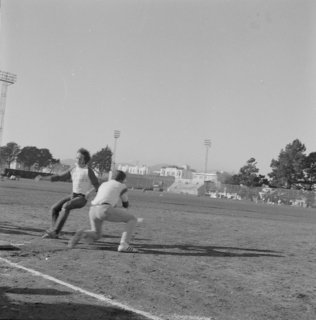 Two men playing in a softball game. 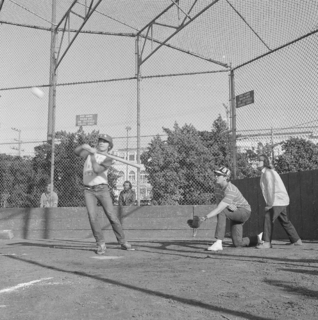 A softball player at bat, with a catcher and umpire behind him. 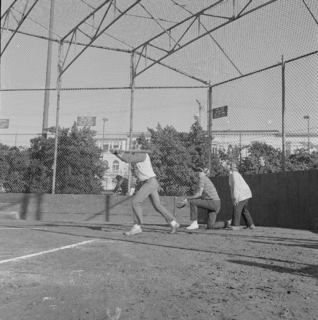 A softball player swinging a bat, with a catcher and umpire behind him. 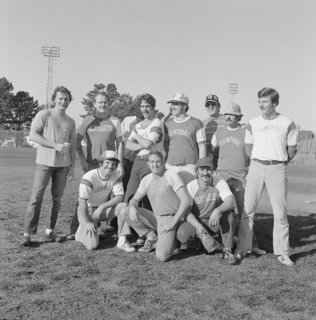 A softball team wearing jerseys that say "Since we're friends let's," posing for a team photo. 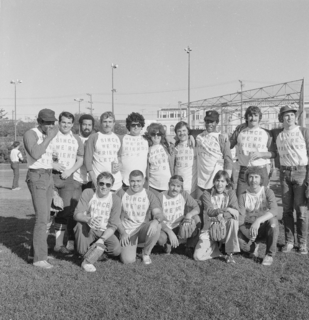 Gay Softball League, Police Softball Game - Team "Central"
A softball team wearing jerseys that say "Central," posing for a team photo. 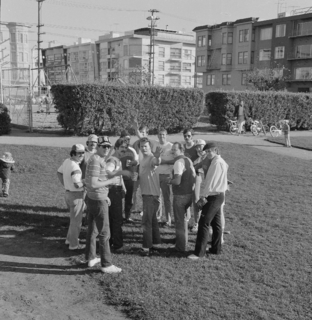 A softball team huddled or grouped together on the softball field. 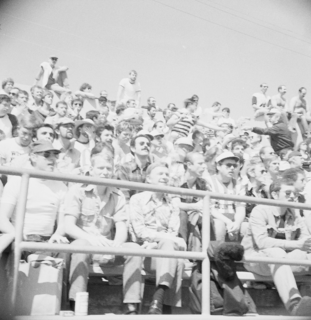 A man in a Park Bowl jersey, sitting with two people in the bleachers. 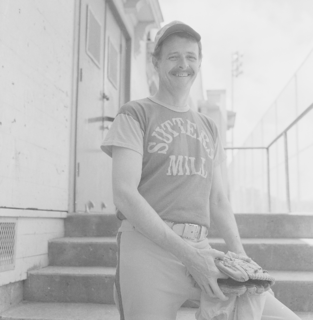 A player from the Sutter's Mill softball team. 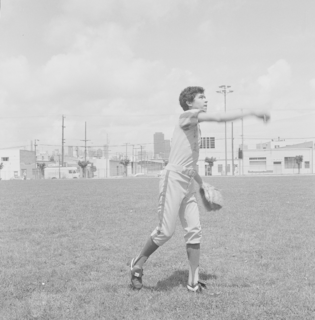 A softball player throwing the ball. 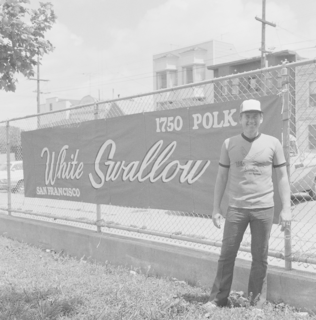 A player from the White Swallow softball team, posing with the team banner. 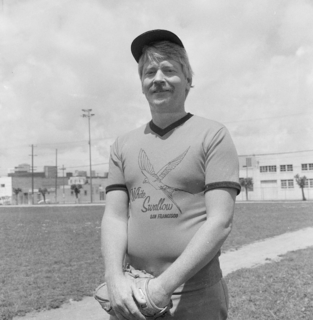 A player from the White Swallow softball team. 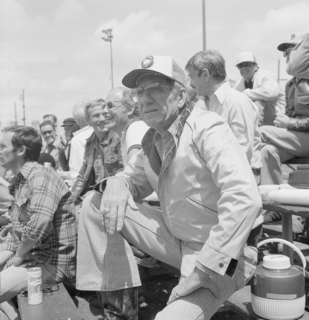 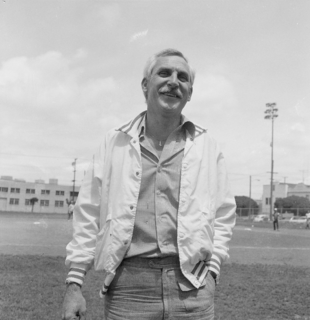 A man sitting in the bleachers, posing for the camera. 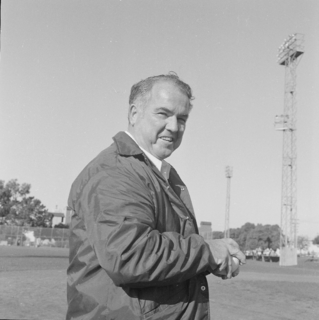 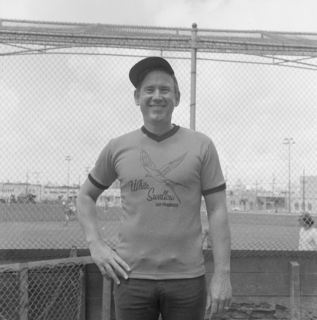 A man laughing, standing on the softball field.